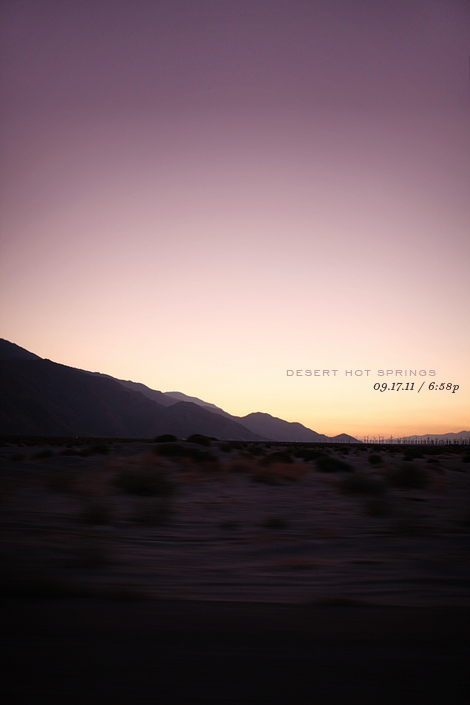 ... was on location recently for a shoot in desert hot springs (can't wait to share the project with you!) and caught the sunset on the way to dinner. oh the colours... happy weekend everyone! Wow, that's an image I would put on the wall.